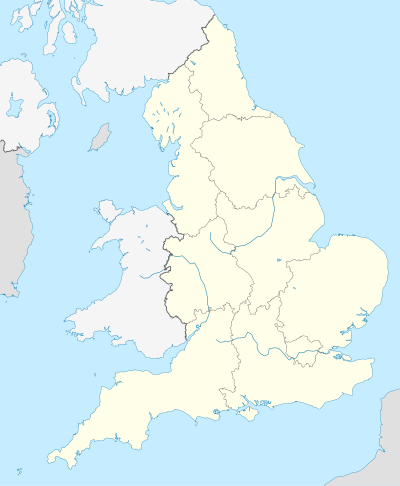 The 2010–11 Football League One (known as Npower League One for sponsorship reasons) is the seventh season of the league under its current title and nineteenth season under its current league division format. It started on 7 August 2010. Clubs are now restricted to having 25 first-team players over the age of 21, of which 10 must be home grown (registered in domestic football for three seasons before their 21st birthday). There is no restriction to players under 21. The new financial reporting rules will see clubs that fail to lodge their accounts with the Football League, at the same time they are required by Companies House, being hit with a transfer embargo. The Football League's Fit and Proper Person test was renamed "Director's Test" to ensure continuity with other football bodies. Npower will be the Football League's new sponsor after Coca-Cola's contract ran out and was not renewed. The "Player of the Month" and "Manager of the Month" awards will now been known as the "Npower Player of the Month" and the "Npower Manager of the Month" award respectively. Coca-Cola signed a three-year contract to become the Football League's official partner. A total of 24 teams contest the division, including 17 sides remaining in the division from last season, three relegated from the Championship, and four promoted from League Two. ^ Plymouth Argyle deducted 10 points for insolvency. First goal of the season: 46 minutes and 17 seconds – Luke Summerfield for Plymouth Argyle against Southampton (7 August 2010). ^ a b c d e f g h i j k l m n "English League One Stats - 2010-11". ESPN Soccernet. ESPN. Retrieved 15 May 2011. ^ a b "Southampton 0–1 Plymouth". BBC Sport. Retrieved 7 August 2010. ^ "Coca-Cola sign up again". Football League. 21 May 2010. Archived from the original on 15 July 2010. Retrieved 7 August 2010. ^ Paul Ince remained as MK Dons manager until the end of the season. ^ "Paul Ince resigns as MK Dons manager". BBC Sport. 16 June 2010. ^ "Robinson named new MK Dons boss". BBC Sport. Retrieved 7 August 2010. ^ "Plymouth to look for new manager". BBC Sport. Retrieved 7 August 2010. ^ "Reid appointed Plymouth manager". BBC Sport. Retrieved 7 August 2010. ^ "Cotterill leaves Notts County job". BBC Sport. Retrieved 7 August 2010. ^ "Short named Notts County manager". BBC Sport. Retrieved 7 August 2010. ^ "Craig Short sacked as Notts County manager ". BBC Sport. Retrieved 24 October 2010. ^ "Manager Paul Trollope sacked by Bristol Rovers". BBC Sport. Retrieved 18 December 2010. ^ "Bristol Rovers appoint Dave Penney as their new manager". BBC Sport. Retrieved 14 January 2011. ^ "Chris Hutchings shown door by Walsall". BBC Sport. Retrieved 4 January 2011. ^ "Dean Smith gets Walsall job until end of season". BBC Sport. Retrieved 21 January 2011. ^ "Charlton Athletic sack manager Phil Parkinson". BBC Sport. Retrieved 4 January 2011. ^ "Chris Powell named new Charlton Athletic manager". BBC Sport. Retrieved 14 January 2011. ^ "Gary Johnson parts with Peterborough United". BBC Sport. Retrieved 11 January 2011. ^ "Darren Ferguson returns as Peterborough United manager". BBC Sport. Retrieved 14 January 2011. ^ "Eddie Howe appointed Burnley manager". BBC Sport. Retrieved 16 January 2011. ^ "Bournemouth confirm Lee Bradbury as manager". BBC Sport. Retrieved 28 January 2011. ^ "Sheffield Wednesday part with boss Alan Irvine ". BBC Sport. Retrieved 5 February 2011. ^ "Megson appointed Sheffield Wednesday manager". BBC Sport. Retrieved 5 February 2011. ^ Brentford part company with manager Andy Scott. BBC Sport. Retrieved 5 February 2011. ^ "Brentford make Nicky Forster manager until season's end". BBC Sport. Retrieved 2 March 2011. ^ "Danny Wilson quits as Swindon Town manager". BBC Sport. Retrieved 13 March 2011. ^ "Swindon Town appoint Paul Hart as manager". BBC Sport. Retrieved 13 March 2011. ^ " Paul Ince leaves Notts County". BBC Sport. Retrieved 3 March 2011. ^ "Notts County appoint Martin Allen as manager". BBC Sport. Retrieved 13 April 2011. ^ "Bristol Rovers sack manager Dave Penney ". BBC Sport. Retrieved 30 May 2011. ^ "Paul Buckle leaves Torquay to be Bristol Rovers manager". BBC Sport. Retrieved 30 May 2011. ^ "Swindon bring in Paul Bodin as manager for Paul Hart". BBC Sport. Retrieved 30 April 2011. ^ "Plymouth Argyle are deducted 10 points". BBC Sport. 21 February 2011. ^ a b "Football League One Statistics". football-league.co.uk. Football League. Archived from the original on 29 October 2010. Retrieved 5 November 2010. ^ a b c d e f "Football League Statistics". football-league.co.uk. Football League. Archived from the original on 24 September 2012. Retrieved 5 February 2011. ^ "IRVINE NAMED MANAGER OF THE MONTH". football-league.co.uk. Football League. 9 September 2010. Archived from the original on 16 September 2010. Retrieved 9 September 2010. ^ "COKE NAMED PLAYER OF THE MONTH". football-league.co.uk. Football League. 9 September 2010. Archived from the original on 16 September 2010. Retrieved 9 September 2010. ^ "POYET NAMED MANAGER OF THE MONTH". football-league.co.uk. Football League. 7 October 2010. Archived from the original on 16 October 2010. Retrieved 7 October 2010. ^ "ANKERGREN NAMED PLAYER OF THE MONTH". football-league.co.uk. Football League. 7 October 2010. Archived from the original on 2 August 2012. Retrieved 7 October 2010. ^ "PILKINGTON NAMED PLAYER OF THE MONTH". football-league.co.uk. Football League. 11 November 2010. Archived from the original on 18 November 2010. Retrieved 11 November 2010. ^ "PARKINSON NAMED MANAGER OF THE MONTH". football-league.co.uk. Football League. 9 December 2010. Archived from the original on 19 December 2010. Retrieved 11 December 2010. ^ "JACKSON NAMED PLAYER OF THE MONTH". football-league.co.uk. Football League. 9 December 2010. Archived from the original on 14 January 2013. Retrieved 11 December 2010. ^ "WADSWORTH NAMED MANAGER OF THE MONTH". football-league.co.uk. Football League. 13 January 2011. Archived from the original on 14 January 2013. Retrieved 13 January 2011. ^ "COLLINS NAMED PLAYER OF THE MONTH". football-league.co.uk. Football League. 13 January 2011. Archived from the original on 19 January 2011. Retrieved 13 January 2011. ^ "HILL NAMED MANAGER OF THE MONTH". leaguemanagers.com. Football League. 3 February 2011. Archived from the original on 13 July 2011. Retrieved 3 February 2011. ^ "HUNTINGTON NAMED PLAYER OF THE MONTH". npower.com. Football League. 3 February 2011. Retrieved 3 February 2011. ^ "FERGUSON NAMED MANAGER OF THE MONTH". football-league.co.uk. Football League. 4 March 2011. Archived from the original on 3 April 2011. Retrieved 4 March 2011. ^ "MACKAIL-SMITH NAMED PLAYER OF THE MONTH". football-league.co.uk. Football League. 4 March 2011. Archived from the original on 7 March 2011. Retrieved 4 March 2011. ^ "POYET NAMED MANAGER OF THE MONTH". football-league.co.uk. Football League. 8 April 2011. Archived from the original on 29 September 2012. Retrieved 8 April 2011. ^ "ANKERGREN NAMED PLAYER OF THE MONTH". football-league.co.uk. Football League. 8 April 2011. Archived from the original on 29 September 2012. Retrieved 8 April 2011.